What is common amongst these – carrot, turnip, ginseng, horseradish, onion, and ginger? All are ‘roots’ that you consume almost on a daily basis. Add another one to this list right away – burdock root. This ancient but less-known root does wonders for your digestive, urinary, and lymphatic systems apart from offering a host of other benefits. Scroll down to find out what they are. What Are The Benefits Of Burdock Root? Are There Any Side Effects Of Including Burdock Root In Your Diet? Belonging to the Arctium genus of the beautiful Asteraceae family, burdock plants (or cockle buttons) are native to Europe and Asia. But of late, they are being grown in various parts of the globe. Due to its crisp, muddy, and harsh texture and mildly pungent but sweet taste, burdock root is gaining popularity in the food and beverage industry. 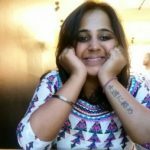 But, why should you add it to your ‘root list’? Read on, I say! Burdock root is a rich source of fiber and has high water content. It contains polyphenols that have antioxidative, anti-inflammatory, anti-cancerous properties. The root not only purifies your blood but also enhances the health of your hair, skin, gut, and kidneys. Continue reading to know how it does so. Your head has about 1,50,000 hair follicles, and 80-90% of them are in the growing phase (anagen) at a given point in time while remaining are in the resting phase (telogen). The proportion of follicles in the anagen and telogen phases decides the magnitude of your hair fall. Burdock roots contain tannins, fiber (inulin), essential fatty acids, and vitamins that promote hair growth and cure rapid hair fall. 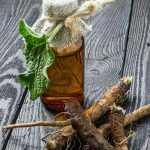 You can either boil burdock roots in your regular hair oil or add the tincture to water and apply directly to the scalp. The simplest way to good skin and hair is good or pure blood. That’s exactly what burdock root does. It has antioxidants and flavonoids like quercetin that scout for toxic ions and microbes in your blood and eliminate them (1). This eventually makes your blood free of impurities and infections – offering a complete detox! You can brew a small cup of tea with burdock root powder or crushed burdock root in it (like ginger). You might also try chewing on some raw (cleaned) burdock root with some sea salt. Since it acts on the blood and circulatory system, burdock root has a direct effect on the skin. Active compounds like arctiin, lignans, etc. have matrix-stimulating properties, which give you supple and younger-looking skin (2). It also fights acne and eczema due to its blood purifying activity. You can make a burdock root pack by mixing dried root powder with water and applying like any other face pack. A 2011 study explains the activity of burdock root extract against certain types of cancers – especially those of the liver and pancreas (3). The anti-inflammatory and anti-cancerous properties of these roots are due to the presence of caffeoylquinic acid derivatives (4). These act directly on the proliferating cancer cells and stop them from metastasizing. Incorporate burdock root or its extract in any way in your diet to reduce the risk of cancer as well as treat cancers in the initial stages. Due to the presence of caffeoylquinic acid derivatives, burdock roots have a hepatoprotective effect, i.e., they protect the liver and its cells (5). Patients with liver injuries due to alcohol or drug abuse can consume these in regulated doses. If you have an enlarged spleen, which indicates compromised immunity, you are on the right page! Since burdock root cleanses your blood, which is filtered by your spleen, it indirectly cleanses and protects it too. 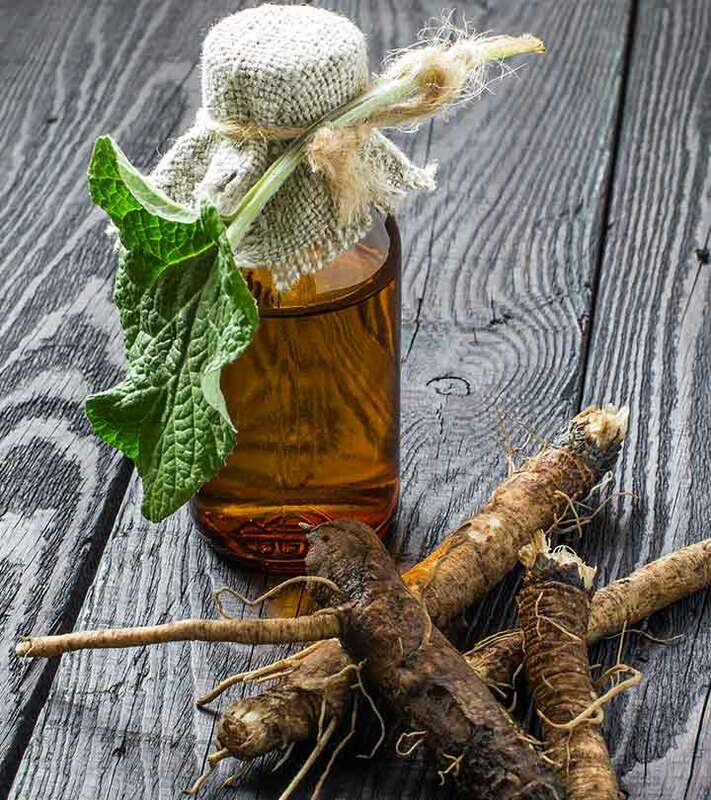 You can make a concoction of burdock roots boiled with other herbs like ginseng or licorice roots in water and consume in small doses for best results. Polycystic Ovary Syndrome (PCOS) has now become more common than pimples in women. Traditional medicine in Asia and Africa used burdock roots to cure menstrual irregularities. Since burdock root fights the free radicals and other oxidants present in the blood by acting on the liver and spleen, the secretion of estrogen and progesterone gets regulated. It sorts the hormonal imbalance, which is usually the primary reason for PCOS. You can consume a concoction or tea or eat the raw root in small doses for relief from menstrual cramps and irregular periods. One of the zillion benefits burdock root has is perhaps its diuretic activity. A diuretic agent expels excess water and prevents fluid retention and toxin accumulation in our body. Burdock root stimulates increased urine production and blood purification, aiding the kidneys in doing their job. It eases the pressure on them and ensures they‘re happy and kickin’! Having them in small portions daily with your meals will detoxify the urinary system and prevent the formation of stones in the kidneys and gallbladder. According to a study, inulin, a dietary fiber extracted from plants like burdock, promotes the growth of certain beneficial gut bacteria (6). Which is why you can use burdock root as a prebiotic in your diet – it helps in better digestion and assimilation of nutrients in your gut. The nutritional profile of burdock root is responsible for the benefits listed above. It is packed with nutrients, vitamins and minerals, which give these amazing benefits. It has high levels of folate, calcium, omega-3 fatty acids, and roughage, which make it a necessary supplement to the diet. And if you are still are not convinced about adding it to your diet, here are some interesting facts about burdock root and its relatives. Dandelion and burdock are close cousins biologically. You can supplement your soup or concoction with it for added benefits. The skin of burdock root has a higher proportion of antioxidants and flavonoids. Try cleaning the root thoroughly and cooking it unpeeled. Chicory, the primary component of our Indian tea (Assam, Nilgiri, etc. ), is also a close relative of burdock. Avoid drinking chicory tea if you are dehydrated. Burdock root fights off diabetes by improving the health of the pancreatic cells and reducing free insulin levels in the blood. Belladonna and Nightshade, the deadly weeds, share a close resemblance with the burdock plant. Beware of what you pick. High levels of potassium, magnesium, and fiber make burdock root a must-add to the “heart healthy” diet list. Whoa! That‘s quite a lot of information on a root. Looking at the nutritional data and facts of this ingredient you, of course, will want to buy a bag of this immediately. But, let’s think about the flipside. What could be wrong with adding such an ideal candidate to your diet? If you are allergic to plants from the Asteraceae family, like daisy, aster, chamomile, chrysanthemum, dandelion, dahlia, and lettuce, you are likely to develop an allergy to burdock as well. Consult your physician if you wish to include burdock in your diet despite the hypersensitivity. There is very less information regarding the use of burdock roots for children. It has done less good and more harm in children under the age of 18. Consult your physician before adding that piece of burdock to your kid’s meal. Burdock root is known to be an oxytocic agent and uterine stimulant. It induced uterine contractions (labor, in simple terms) in women who consumed it during pregnancy, according to a study (7). It increases the risk of premature labor as well. Pregnant women should either refrain from having burdock root or do so under strict medical supervision. Same is the case for couples in the preconception stage. Imagine what would happen to your body if you are suffering from diarrhea, vomiting, hot flashes, and you are asked to take a serving of burdock root soup? Ouch! That would drain you off because it is a diuretic. Think before consuming any of the diuretic agents containing flavonoids when you are dealing with dehydration. Burdock root is the right addition to your diet if consumed within limits, and in some cases, under medical guidance. After all, who would not want to have healthy hair and a healthy gut in one shot? Let us know how this article helped you. Please leave a comment in the box below.